Product prices and availability are accurate as of 2019-04-22 02:37:19 EDT and are subject to change. Any price and availability information displayed on http://www.amazon.com/ at the time of purchase will apply to the purchase of this product. 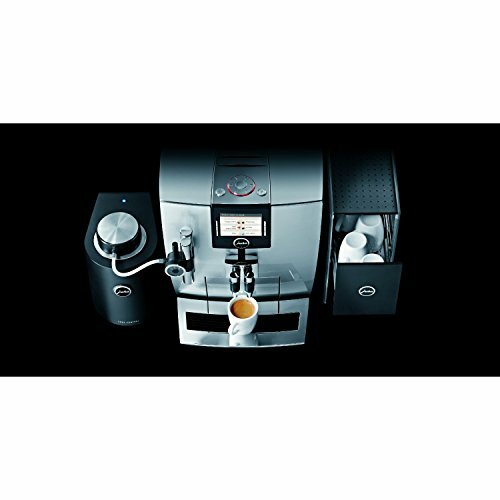 The ingenious operating concept couldn't be easier or more self-explanatory; simply use the Rotary Selection to choose the specialty coffee you want, press the button, sit back and savor the taste. 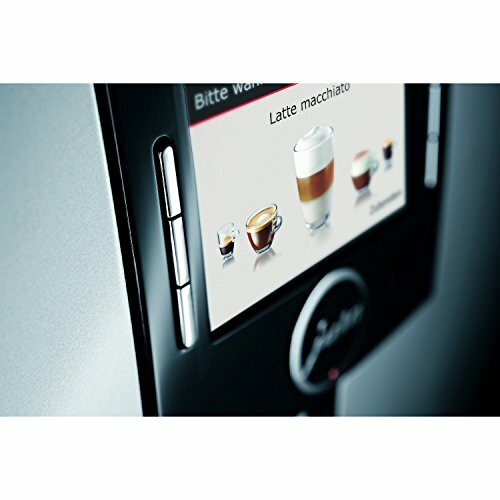 The one-touch automatic coffee machine prepares the full range from latte macchiato to ristretto at the touch of a button and without you having to move the cup. TFT (Thin Film Technology) is an operating concept that sets new standards. Simply turn the Rotary Switch and a list of specialty coffees appears on the modern TFT display. All you need to do is press the button once and you'll soon be drinking coffee that fulfills your wildest dreams. Another development from JURA ensures a unique milk foam quality of a fine, feather-light consistency: fine foam technology. The height of the cappuccino spout for latte macchiato and cappuccino and coffee spout can be adjusted on a continuous scale. 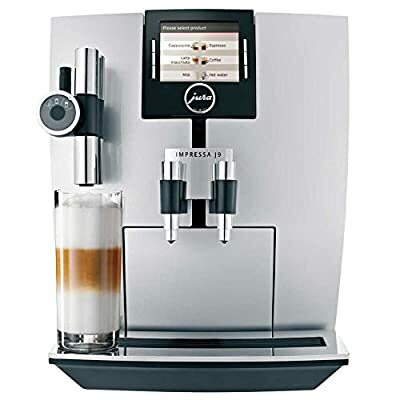 This allows you to create the perfect drink both in a small espresso cup and in a latte macchiato glass up to 6-inch tall. The front of the elegant automatic machine is finished with a high-quality double coat of metallic-look brilliant silver lacquer. The stylish white aluminum top, side and back complement the beautiful all-around design.